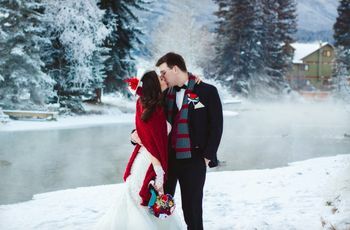 18 Awesome Forest Wedding Ideas | Wedding Ideas ARE YOU A VENDOR? 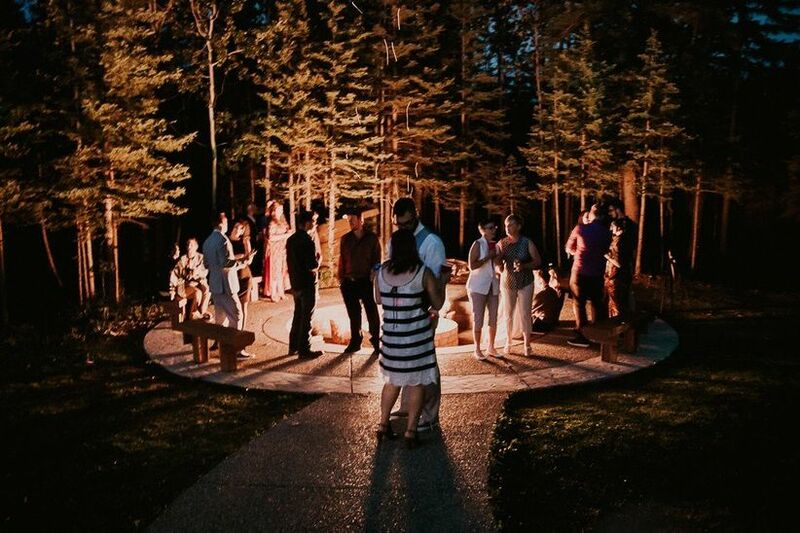 Whether you’re hosting your wedding in a forest or want to give your venue some woodsy vibes, we’ve got some ideas for you. 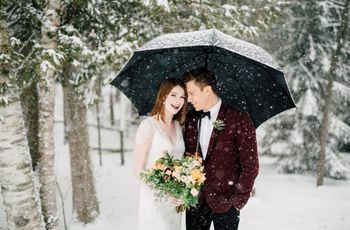 So, you’ve decided to ditch the traditional ballroom venue and go for something more natural wedding locale, like a forest? Well, we’re here to help you put it all together. Whether you’re in need of decor, dessert or dress suggestions, we’ve got your back. 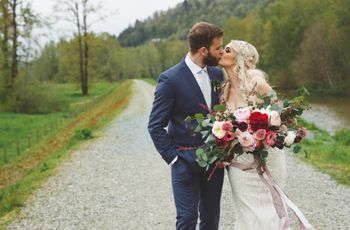 Check out these forest wedding ideas from a few of our favourite vendors and real Canadian weddings - you’re bound to stumble upon something you love. 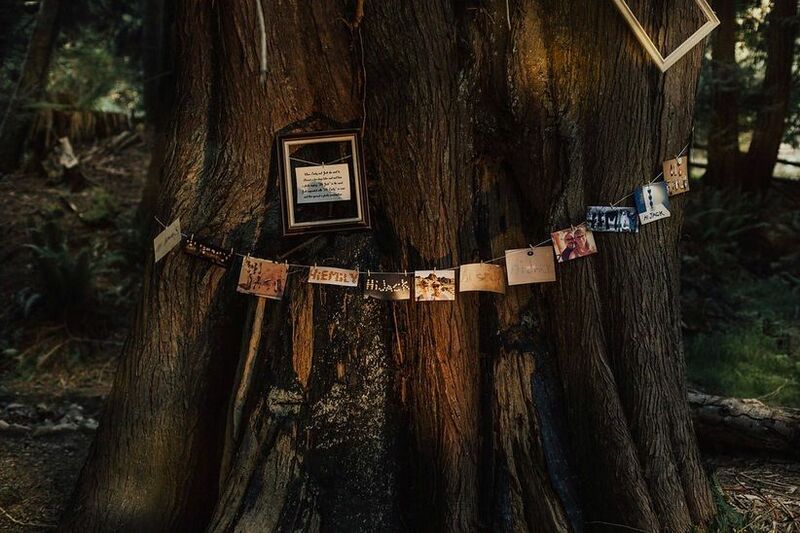 Here are a few awesome ideas for your forest wedding. 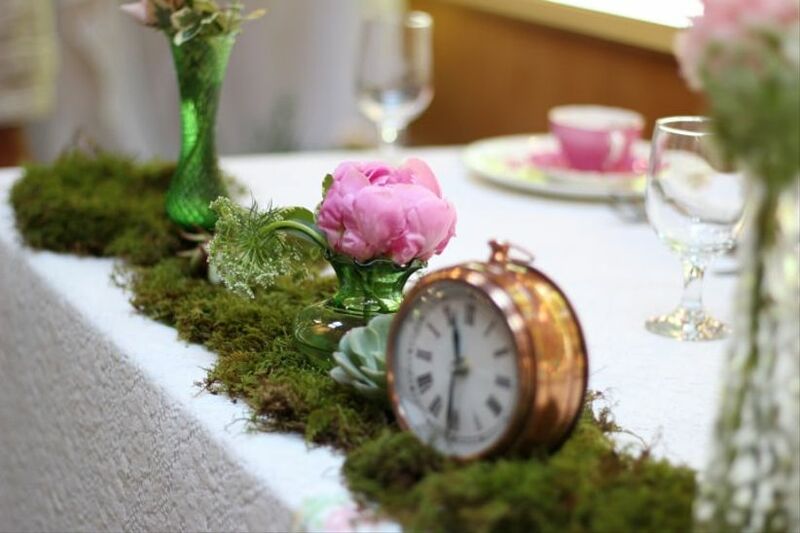 If you can’t have your wedding in an actual forest, bring a bit of the outside in by adding moss to your decor. You can use little pieces here and there or go all out and create dramatic runners for your tables. 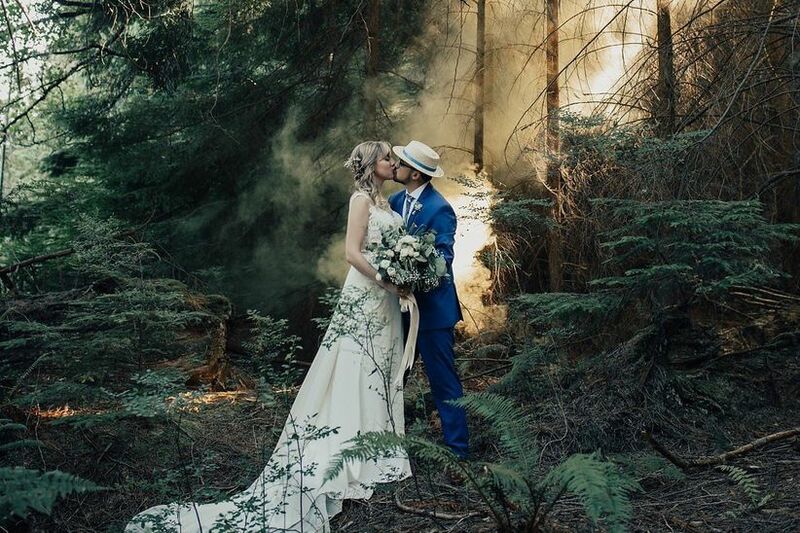 If you’re hosting your wedding in a forest or garden you’re probably going to be surrounded by trees. 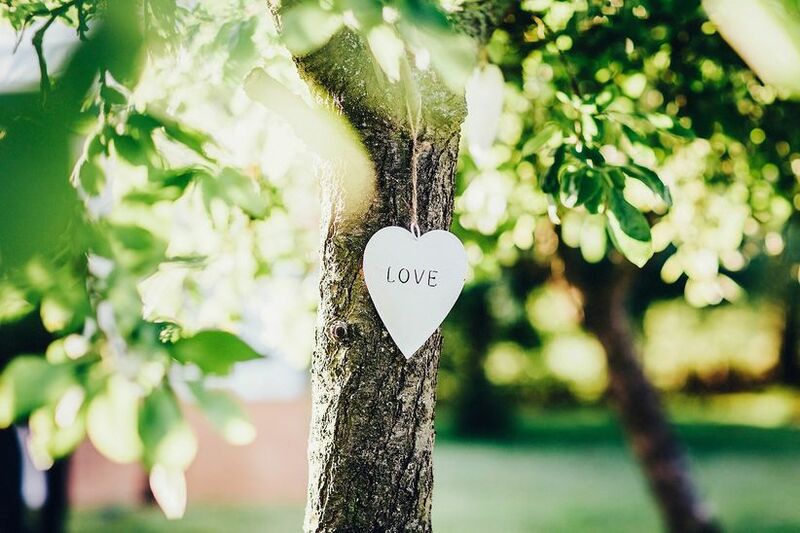 While they probably look gorgeous as they are, you can easily amp them up for your big day with a few ornaments, like hanging hearts and decorative baubles. 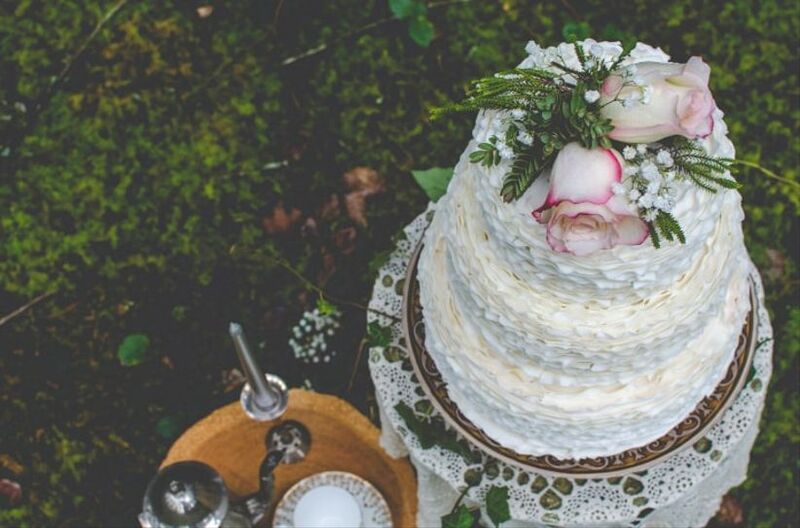 Faux bois cakes and naked cakes are both awesome options, but why not mix things up and go with something different, like a ruffled cake? This style still has a shabby-chic, foresty feel but is a bit more unexpected. 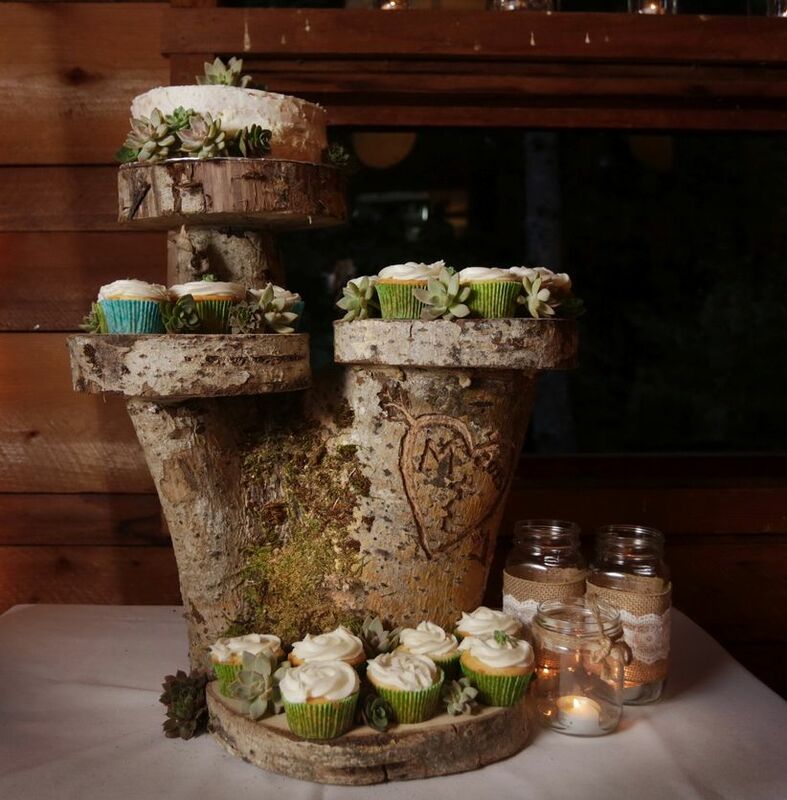 Display your wedding desserts on a pedestal made of wood or faux wood - it’ll give your sweet table that extra dose of woodsy goodness. Use the natural resources as your backdrop for hanging family photos, telling your love story or even displaying your seating chart. 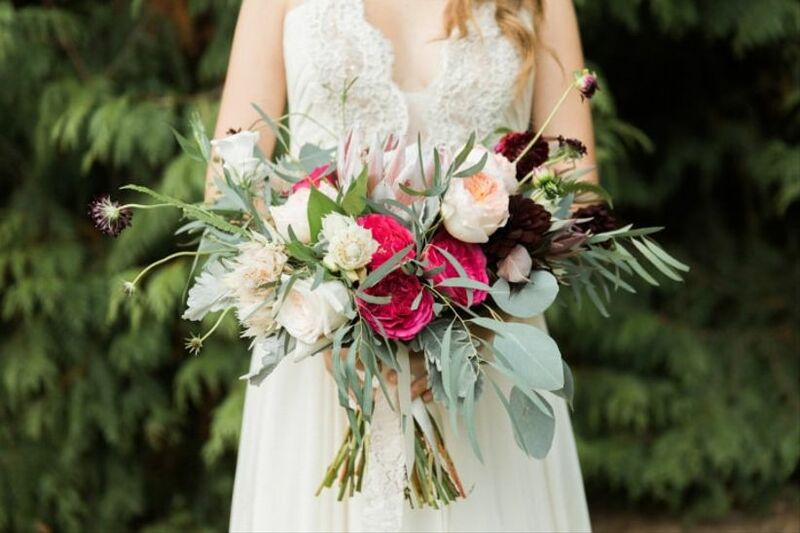 For a forest wedding, skip the ultra-structured bridal bouquet and go with something loose, flowing and packed with brightly coloured flora. Looking for something a less traditional and more modern? 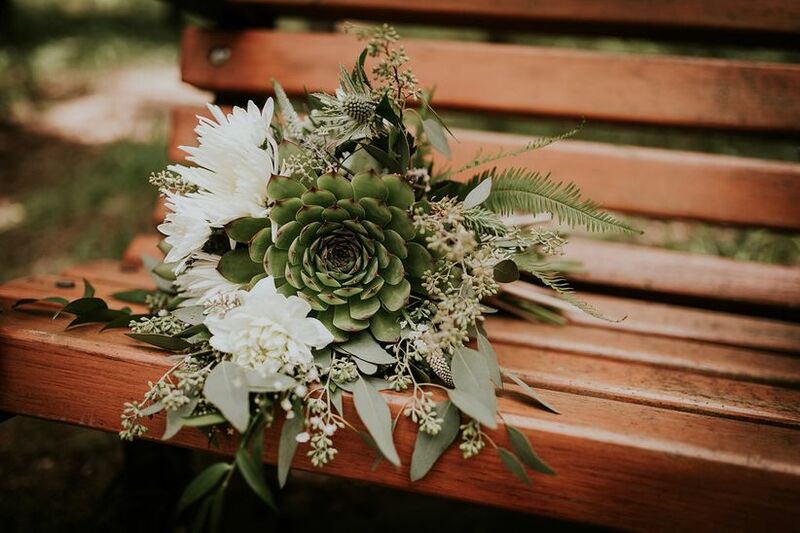 Add succulents to your bouquet and table arrangements (they can even double as wedding favours). 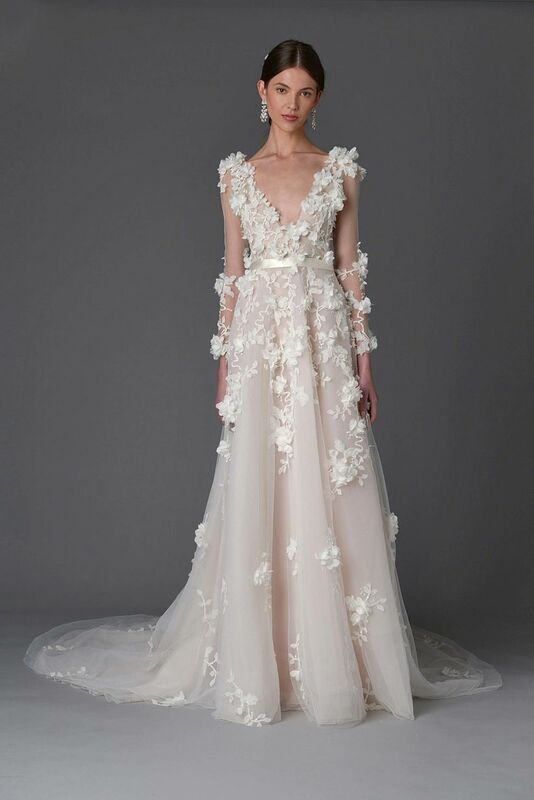 Go with something ethereal, flowy and nature-inspired, like this gorgeous wedding dress design by Marchesa. 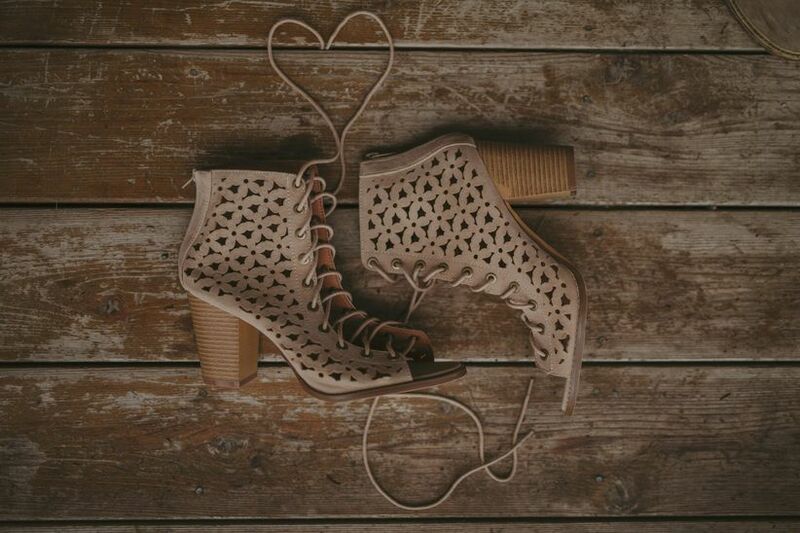 Complete your ensemble with a pair of chunky heels - these will look stunning and save your shoes from digging into the ground. Who needs plain old chiavari chairs? 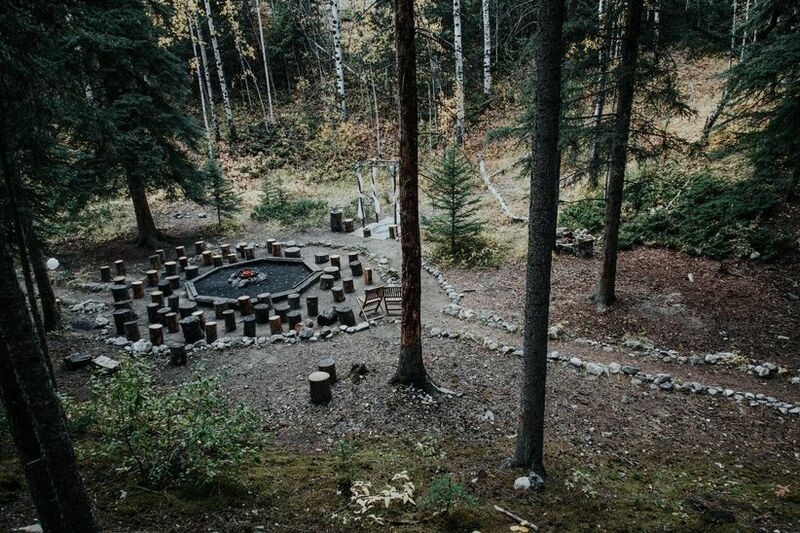 Go au naturel and seat your guests on stumps for the ceremony portion of your forest wedding. 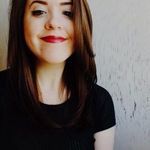 Word to the wise: you’ll want to shake things up and use proper chairs and sofas for your dining tables and in your lounge - backless chairs can be a little uncomfortable for long periods of time. 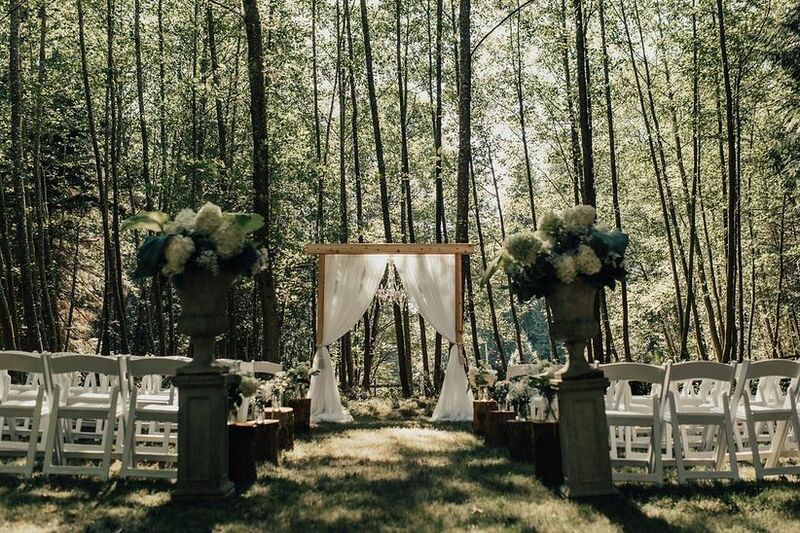 Make your forest ceremony venue a touch more wedding-worthy by adding fun props like dramatic aisle markers, arrangements and arches. 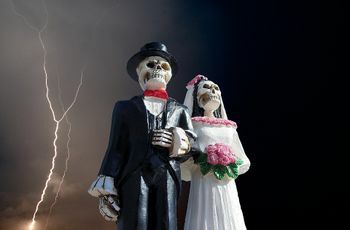 Traditionally, guests would toss rice at the happy couple as they leave the ceremony to symbolize rain (which is said to bring prosperity, fertility and good fortune). 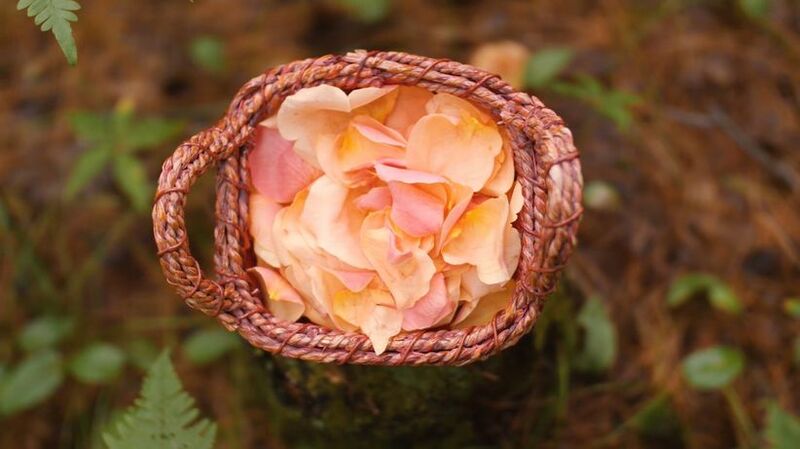 We say skip the grains and go with something a little prettier, like flower petals on your big day. 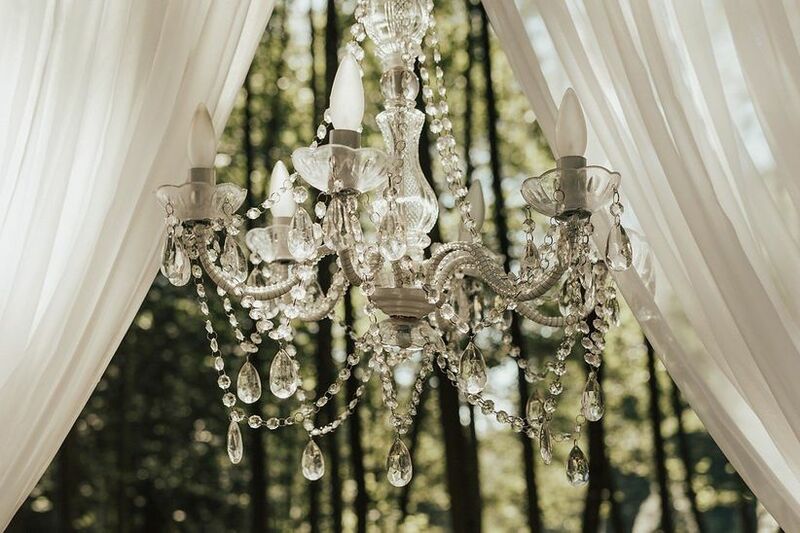 Give your forest wedding theme some glamour too by adding a few luxe pieces, like shimmering crystal chandeliers, to your decor. 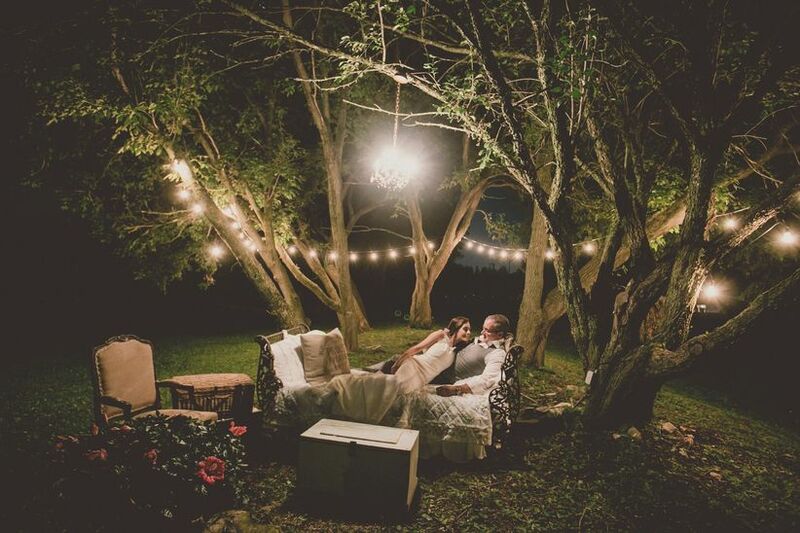 Make a beautiful outdoor lounge complete with fairy lights, sofas and all the comforts of the indoors so that your guests can socialize in style between dinner and dancing. 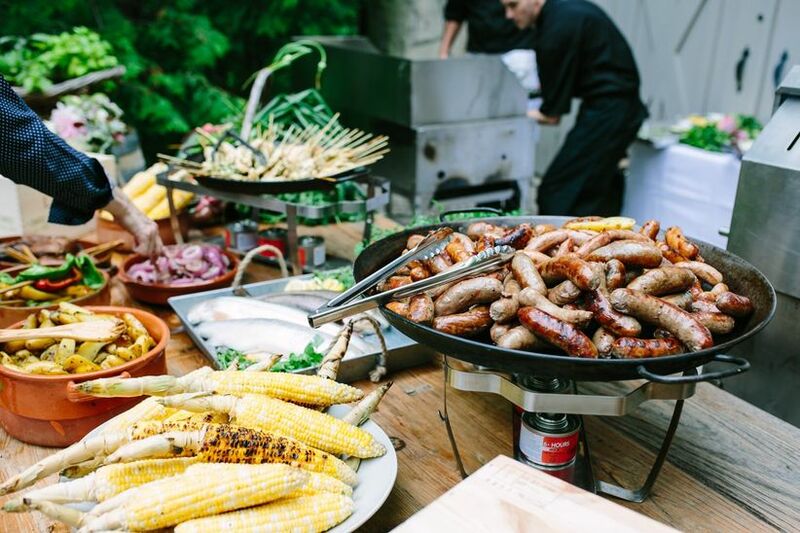 BBQ eats are the perfect food choice for your woodsy wedding. They’re cheap, cheerful and downright delicious. 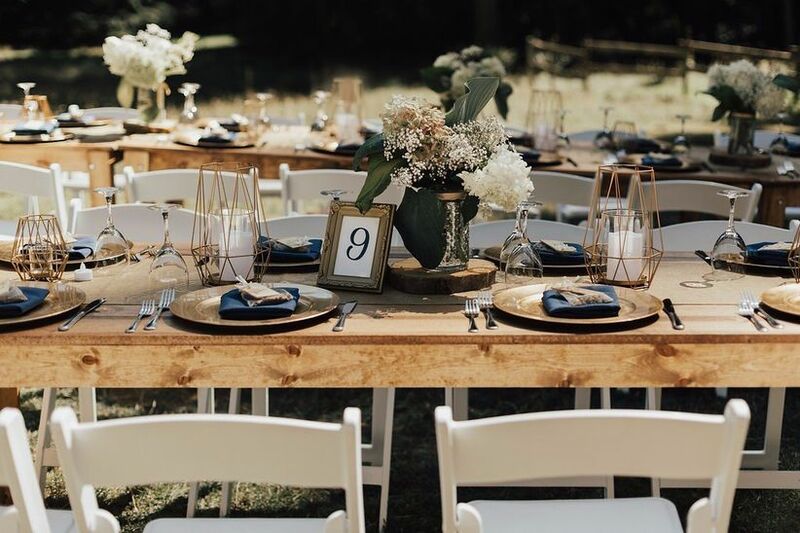 Mother Nature probably took care of most of your forest wedding decor for you, so go with sweet and simple table designs for your reception. Close out the evening with an epic bonfire with s’mores, sing-alongs and more. Your guests are guaranteed to love it. 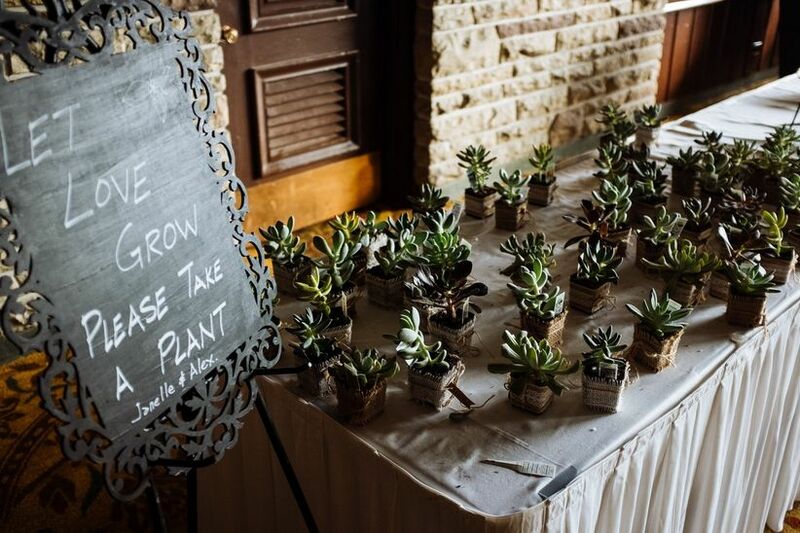 Send your guests home with amazing memories and plants that will grow and flourish like your love (cheesy, but true).